Sharon Cramer » THE EXECUTION hits # 1 on AMAZON! THE EXECUTION hits # 1 on AMAZON! 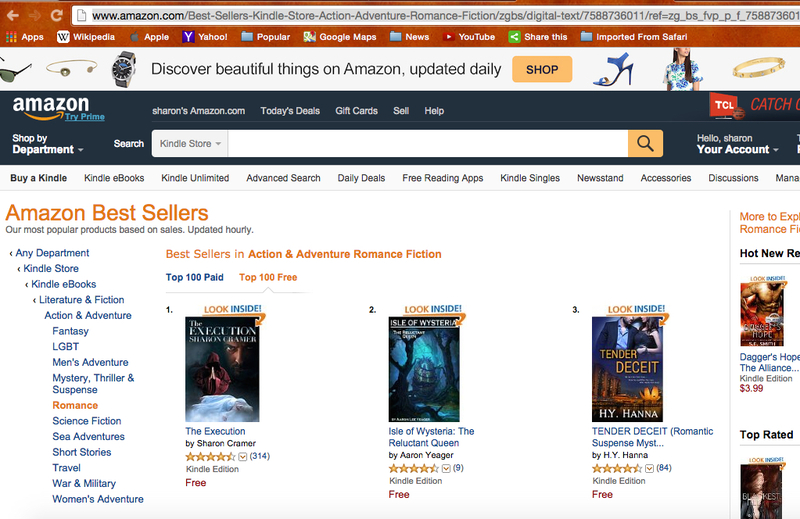 Look who hit # 1 on Amazon, Action/Adventure/Romance FREE! THE EXECUTION did! Woo Hoo! I have a sudden desire to put on some armor and gallop around a castle and pillage something! Do you have your FREE copy yet? You can get it HERE!